Though radiographs may seem like a technology from the 20th Century, they are in fact an important and cost-effective veterinary diagnostic tool. Radiographs—also known as X-rays—are extremely helpful at identifying and diagnosing a number of medical conditions affecting your pet's lungs, heart, abdomen, oral cavity, bladder, kidneys and other areas. For example, a radiograph can detect cancerous tumors, diagnose heartworm disease, bladder and kidney stones, and reveal foreign objects. Because St. Bethlehem Animal Clinic believes that all animals deserve the best care possible, we offer our clients full veterinary radiographic services. 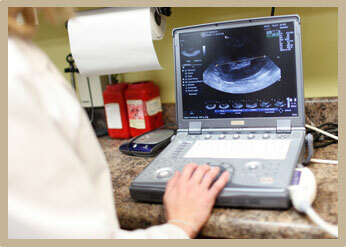 Ultrasound is a very important diagnostic tool because it allows your veterinarian to gain a very precise look at your pet's internal organs, chest and abdomen without surgery or sedation. In most cases, the procedure is relatively brief, less than an hour, and your pet is able to go home the very same day. Most importantly, though, your veterinarian will be able to make a highly accurate diagnosis of your pet's condition and provide effective treatment recommendations. A veterinary endoscope is a thin tube with a camera and a small number of tools that can be used to diagnose and treat problems that occur in the upper and lower gastrointestinal tracts. Much like with a human colonoscopy or an upper GI scan, a veterinary endoscope allows your veterinarian to directly view the esophagus, stomach, colon and some areas of the intestines. If your veterinarian sees an issue, the endoscope also has tools that allow for biopsy samples to be taken for laboratory testing. Animals also often swallow objects that can become lodged in their upper or lower GI tracts. 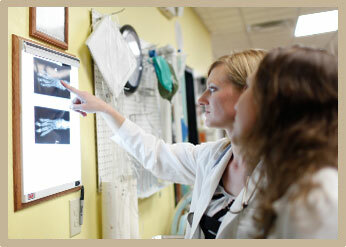 A veterinary endoscope allows access to these areas so the object can be removed without surgery. Because this is a very important tool for easily and effectively diagnosing and treating a range of common ailments, St. Bethlehem Animal Clinic offers these services within our facility. 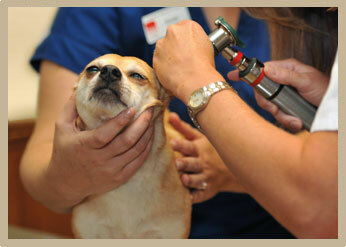 Many dogs and cats are susceptible to a number of conditions that can affect the ears. These include infections, foreign objects, ear mites, and more. Though in their early stages they may not cause many problems, as they worsen they can be quite painful for your pet and can lead to more serious conditions. Visual inspection alone is generally not enough to perform a complete examination. This is why we will likely use a MedRX earscope, which we have installed in all of our exam rooms. This is a small camera that can be passed into the ear and ear canal to provide your veterinarian with a view of these structures. This type of scope also has tools to enable your veterinarian to retrieve a tissue sample or foreign object as well as to flush out your pet's ears. Additionally, the scope allows your veterinarian to check the health of the ear drum, which provides important information as to the health of the middle ear. These mechanisms are responsible for hearing and balance. 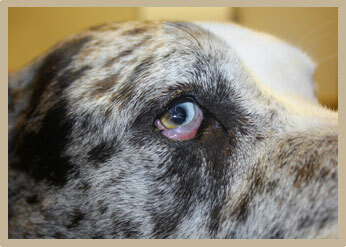 Your veterinarian uses an instrument called a tonometer to measure the fluid pressure inside your pet's eyes. It is a noninvasive procedure that should not cause your pet any pain or discomfort; though your veterinarian will apply a mild anesthetic eye drop to ensure your pet is comfortable during the exam. Electrocardiographs (EKGs) are snapshots of how your pet's heart functions. These are very helpful in detecting numerous types of arrhythmias as well as a handful of other cardiac conditions that can be difficult to identify through a stethoscope. You probably have seen an EKG machine—also known as an ECG machine—or have had one of these tests in your doctor's office as they are commonly used to test for and diagnose common heart conditions in humans. An EKG test is a noninvasive procedure that involves simply connecting a handful of electrodes to your pet's skin. The machine will read the electrical impulses coming from the heart as the heart works to pump blood and provide a graph for your veterinarian to read. If we notice any abnormalities we will explain them to you and advise you on next steps. One of the most important aspects of any preventative medicine regimen is the ability to analyze how well your pet's internal organs and processes are functioning. For example, are the kidneys and liver doing their jobs at remove waste from the blood stream? Does your pet have internal parasites? Is a growth on your pet's skin benign? Laboratory testing allows your veterinarian to gain a view inside your pet's body in order to assess overall systemic health without the need for invasive and expensive procedures. 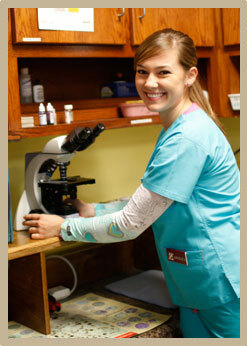 This is why St. Bethlehem Animal Clinic maintains an in-house laboratory. Our laboratory allows us to perform urinalysis, parasite identification, fungal cultures, blood chemistry testing, and more. In some cases, we can receive results within minutes.